Do you have some leftover cranberry sauce? Make a Cranberry Sunrise! Gently pour cranberry syrup on top of the floating ice – it will slowly sink to the bottom, forming a magenta layer at the bottom of the glass. Given a point, P on plane A, and a set of control points on plane A that correlate to a set on plane B, this document describes how to translate P to its new location P’ on plane B. 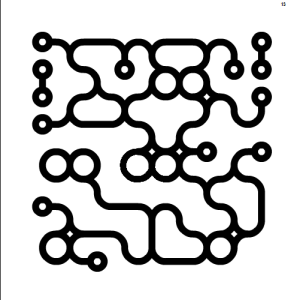 This can be used for virtual to physical mapping, or vice-versa. Loops of Zen is a completely addictive puzzle game, in which you must rotate a grid full of puzzle shapes in order to form complete loops, with no disconnected ends. After a few weeks playing this game, I’ve developed a few axioms that are effective tools for finding a valid solution to every board.